Nowadays, everything is getting online. People are making the use of the internet not only for making money but also for generating donations and fundraising purposes. There are millions of online donation and fundraising software systems out there in the market to help you raise funds with ease. However, choosing the best software from a pool is one of the difficult tasks. Measuring each of them against other can be a daunting task- you get confused between the features, functions, and your desired need. If you want to pick out the most suitable online donation software, you should understand your needs and estimate your budget. In this post, we bring you the list of six tips that you need to consider while choosing your donation or fundraising software system. You might need a software solution that can reflect your business to the world in the most dominant way. It should leave a unique image in front of the people. It means you want it to be innovative and unique from others as duplicating other sites won’t help you out. Always try to choose a donation software system that can offer you the features that can fulfill your needs with ease. However, buying a stylish software system, which looks flashy with multiple features won’t help you. You should buy a software system that can offer you specific features to fulfill your basic as well as advanced needs without a hint of worry. If you are looking for a powerful online donation software solution, you should ensure whether it is compatible with social networking sites or not. Facebook, Twitter, Google+, YouTube, Pinterest, and other social media websites have the widest reach across the world, and can help you get donations with ease. When donors see your efforts towards noble cause via their social media accounts, they will offer you donations. 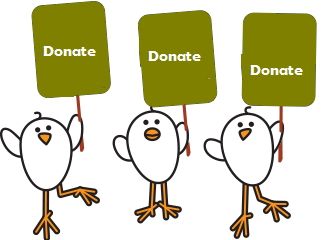 So, buy the social media compatible donation or fundraising software package for your company. It is one of the crucial aspects that need to be considered while choosing your donation software package. Ensure that your software is PCI/DSS certified to give a sense of relief to your donors in terms of safe and secure payment processing system within your site. Plus, you should use a system that can save all the information on one of the redundant servers to providing more security to your data. This keeps cyber criminals away from your site. To attract more visitors or potential donors towards your site, you need to give them an easy way to find your donation button. So choose a system that can offer you an option to embed donation button on all the pages of your site. Try to choose a software system that can offer you the quick and effective customer service. Using a software with 24*7 customer support can help you solve all your queries related to it and give you a simple way to manage all of your donations and fundraisings. These are the six easy-to-follow tips that will help you find the best online donation software package for your company. Best iPhone Quick Tips: How to Increase Storage Space Without Any Software?